Southwark is home to Borough Market, the Tate Modern, plenty of offices and also plenty of unique and exciting bars to while away your evenings. From Cuban to Spanish, with a smattering of old school in between, there is a bar for any possible evening you have planned. 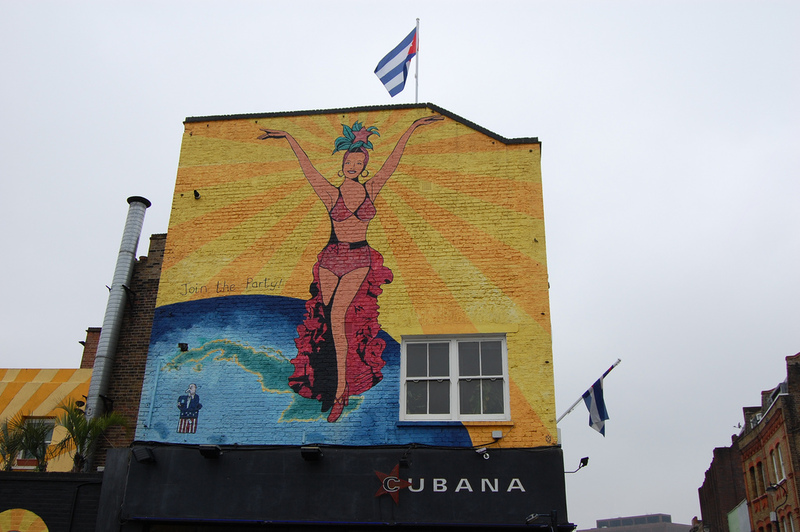 A favourite for post-work drinks, Cubana is a Cuban-style bar and restaurant with a range of delicious cocktails and beers. Cubana is all about getting the real Cuban experience, so most of the bar seats are out front: the party is almost always spilling out onto the street. They have an incredible array of Cuban food, from slow roasted pulled pork to their signature dish of traditional chicken casserole called Pollo Criollo. They also have a happy hour which runs till 8pm. It can get pretty busy, so expect queues and standing up but it’s definitely worth a visit. Wandering into The Old School Yard, you could be forgiven for thinking you’d wandered into an adult school disco. With classic tunes thumping from the speakers and ridiculously good value drinks for a bar in such a good location, an evening here is downright fun. You can also book a karaoke or Wii room for free as long as your group spends a certain amount on drinks. Most months they also hold a ‘School Disco’ at the weekend, so round up your school friends and pretend it’s 1999. Always packed to the brim on Fridays and Saturdays, this classically named pub is beautifully decorated with lots of delightful little features. The drinks list is pretty substantial, from flavoursome guest ales to a wine list covering a great selection of regions and varieties. The street outside is lined with long tables giving it a real European feel. Come here for ‘quiet’ drinks and a good natter with friends. They also have a delicious food menu which is based entirely on seasonal produce and their Sunday roasts are among the best in Southwark. If good quality wines, authentic cheeses and cold cut meats are your thing, head over to Bedales in Borough Market. This enoteca-style bar has a great range of wines to suit every taste; they also do regular wine tastings – give them a call to find out when their next tasting is. If you’ve been inspired by the great array of wines, you can also complete a certified wine course here by the Wine and Spirits Education Trust. This is the original Bedales Wines: it has now expanded to two other locations in Spitalfields and Leadenhall. Sherry has been having somewhat of a revival and Jose is the perfect place to give it a try. Inspired by traditional Andalusian tapas bars, this is a real Spanish treat. Ask the waiters for sherry and tapas pairings to have an authentic Spanish experience. The menu changes daily based on whatever ingredients look best in the market that morning. You also can’t book in advance so get there early or be prepared to queue. It’s definitely worth the wait: this is the freshest, tastiest tapas in South East London. This bespoke cocktail bar is located in a disused toilet. Yes, a toilet. But don’t be fooled – run by art school graduate George Garnier, the inside is beautifully decorated in an authentic art deco style with lots of little tables. Ask the bartender to help you choose a cocktail based on your favourite flavours as the menu changes on a regular basis. It’s pretty quiet on weekdays, so head down on the weekend but make sure to book if you’re in a big group.